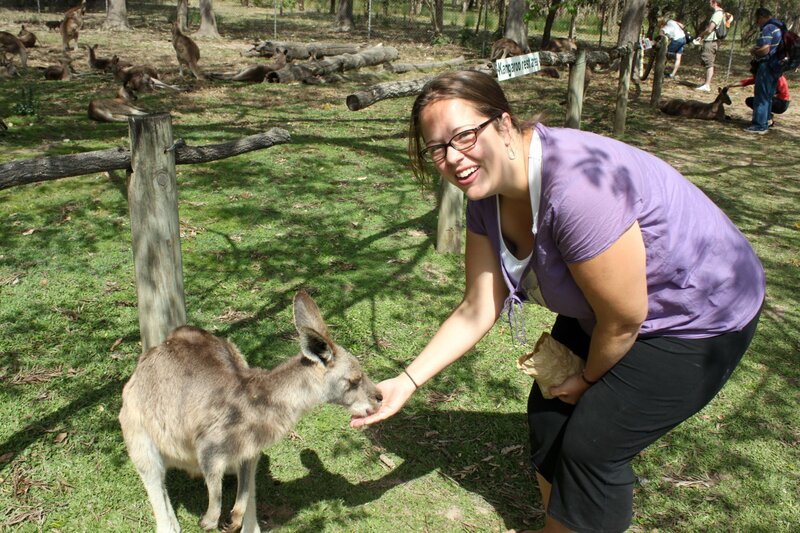 We stopped at the Lone Pine Koala sanctuary, just outside of Brisbane, for some quality time with Australian animals. 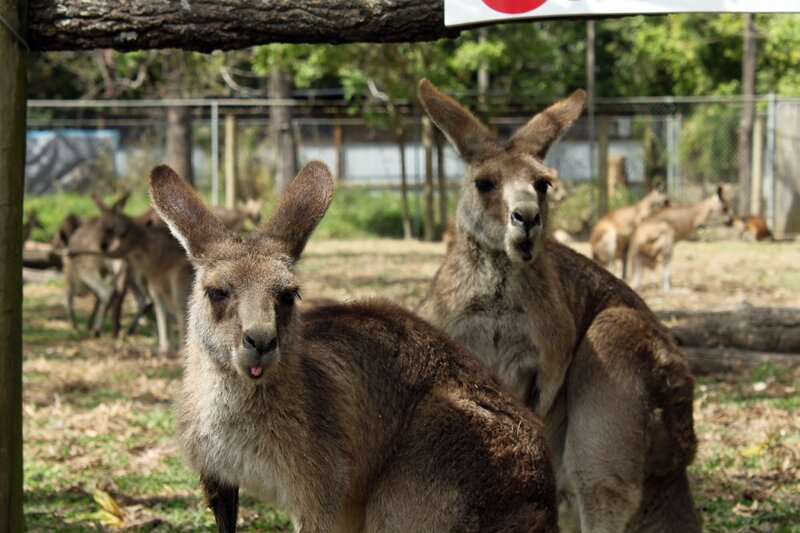 Much cheaper than the Australian zoo, the Koala sanctuary cares for over 130 Koalas, as well as kangaroos, dingos, wombats and a platypus! After walking past the bird cages, we met the biggest bats I have ever seen. Seriously scary looking bats. Then it was on to the good stuff. Koalas! 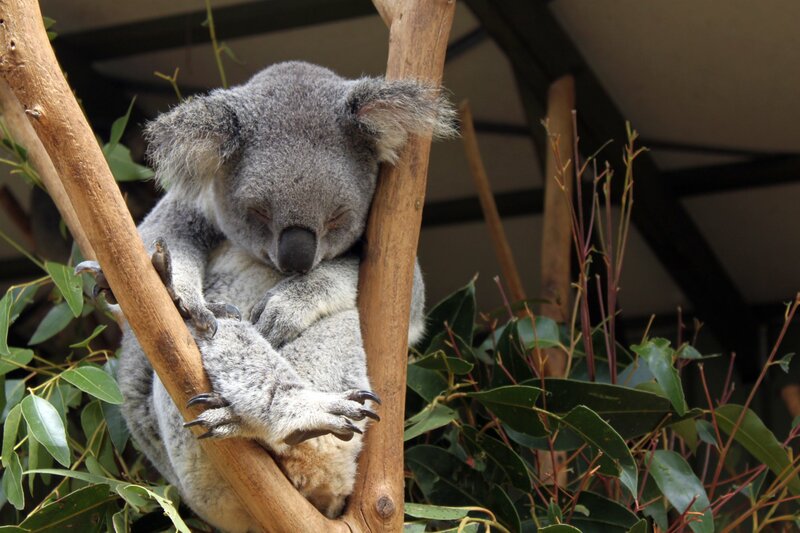 Koalas are one of those animals that are actually in cute in real life as they are in their stuffed animal incarnation. Maybe even cuter. 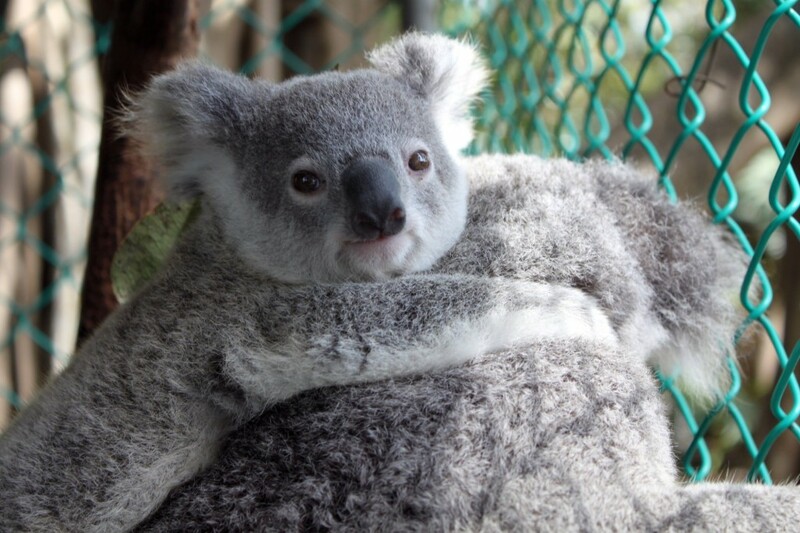 They have an area at the sanctuary where you can hold a Koala for a short while. They charge nearly as much to take a picture as they did for admission, so we opted out of the photo, but we still got to hold a Koala for about 30 seconds. They were very cuddly, and their fur was rough, unbelievably cute. Then we headed over to the emu and kangaroo enclosure. They had a huge field for these animals and they wandered around relatively free, emus taller than me, and about 50 kangeroos and wallabies. You could even feed the kangaroos. There was a presentation from the staff on how they cared for the animals, many of them having been adopted while injured or babies. It was very informative and included adorable photos of baby animals! 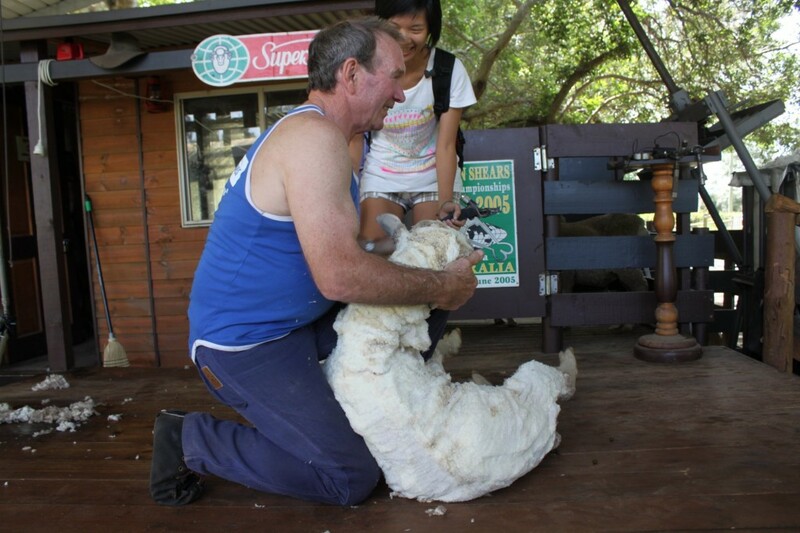 We watched a sheep herding and then a sheep shearing demonstration, which was actually quite interesting. The men they had doing it where actual shearers and herders and they gave a great presentation about the history of the industry in Australia. 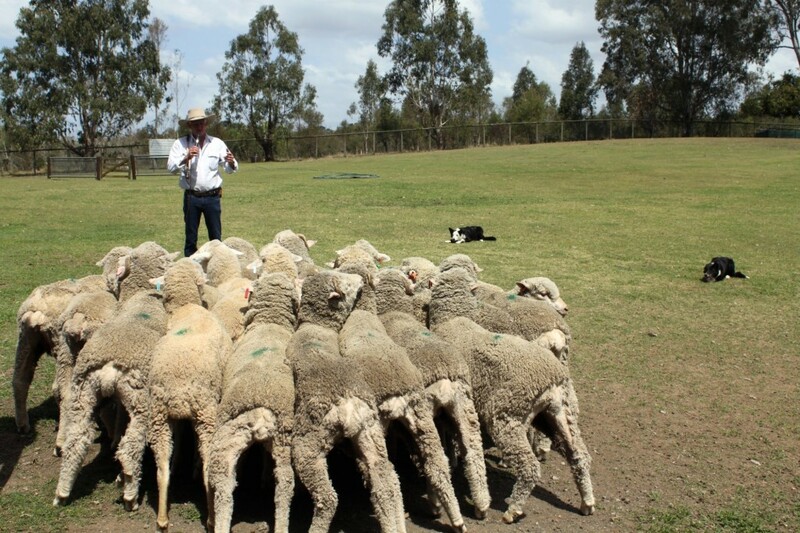 We loved watching the dogs working, sheep really do follow each other quite easily. 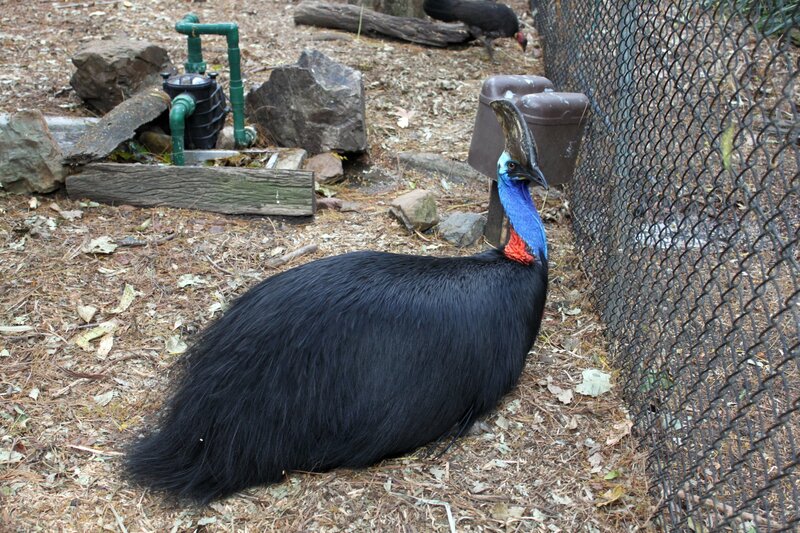 We even got a chance to see an elusive cassowary. Those are some scary looking birds! The platypus, unfortunately, remained elusive, even in captivity, and was hiding most of the day. I would highly recommend Lone Pine, we felt like the animals were well treated, and we learned a lot about animals we don’t have in Canada. Our favourites were the koalas, the kangaroos and the wombats. Too cute. A informative, enjoyable and excessively cute day!